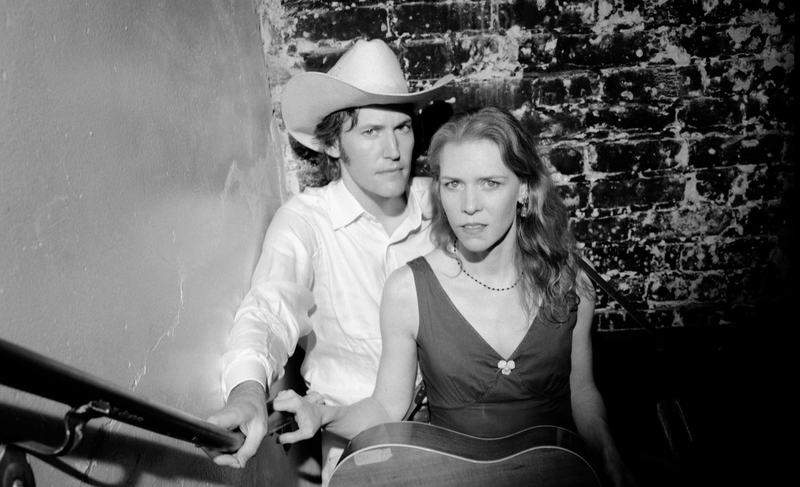 Gillian Welch and David Rawlings have long been performing together under Gillian’s name, but switched places (at least for now) late last year at the release of A Friend of a Friend under the name David Rawlings Machine. The album, which was put together by Rawlings and got its name from a suggestion by Conor Oberst, made many top “albums of the year” lists last month and for good reason. It’s filled with tracks that you can listen to over and over again. There was felling that I had one time of being in a crowd in Manhattan. That informed the verse about seeing the flocks and pastures and seeing a crowd gathered together for one purpose. That memory worked its way into the song. I saw Rawlings, Gillian Welch and Old Crow Medicine Show perform the song at The Beacon Theater in Manhattan last year on The Big Surprise Tour and you could hear a pin drop. They also stopped by Grimey’s in Nashville in December. See below. David Rawings Machine – “Bells of Harlem” at Sounds Country – Jeff Giddens at Sounds Country wrote an eloquent interpretation of this song that I thought summed it up well.